Abstract: Tether is a crypto token based on top of Bitcoin and Ethereum’s blockchains, the value of which is pegged to the US dollar by centralised USD reserves. There is scepticism about Tether, with accusations that the system is not backed by sufficient reserves. We think that this Tether scepticism is mostly focused on the wrong issue. 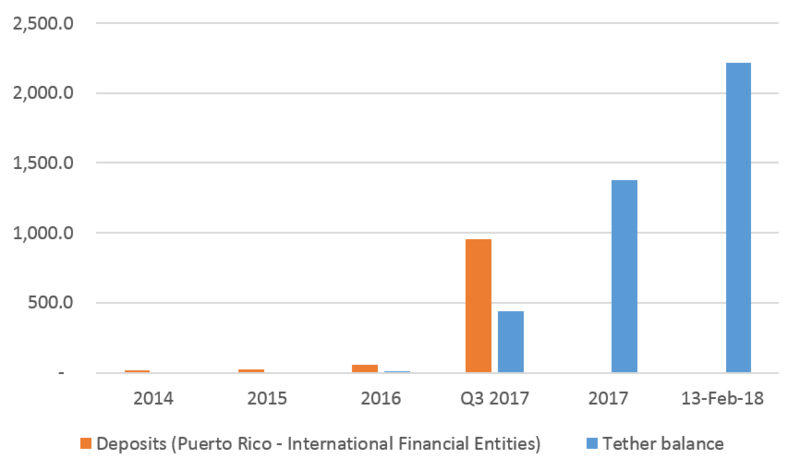 We have found possible evidence in published financial data that the impact of Tether is visible in Puerto Rico’s banking system. Tether is likely to be, or is already, encountering problems related to regulation and we think this should be the primary long-term concern for Tether holders. The Tether token therefore exists on top of the Bitcoin and Ethereum blockchains, with around 97% and 3% of its tokens existing on each chain respectively. On Bitcoin, its tokens exist similarly to coloured coins and use the Omni layer, whose protocols interpret extra meaning from some surplus Bitcoin transaction data — for example, the creation or transfer of Tether. The primary use case of Tether appears to be financial speculation, with many exchanges allowing their customers to buy and sell Tether in exchange for crypto tokens such as Bitcoin. Currently, around 2.2 billion Tether, representing US$2.2 billion, exist. 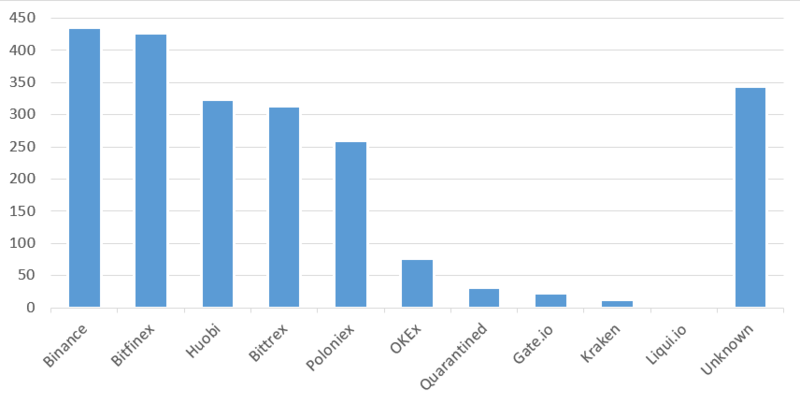 As the chart below illustrates, about 85% of Tether holders are known, with the largest holders being the biggest crypto token exchanges. There is likely to be some mechanism by which these large holders can redeem Tether directly for USD, which we speculate on at a later point in this report. We strongly urge all Tether integrators to install this software immediately. The hacking incident demonstrated that Tether is effectively in complete control of the ledger, as they can force a hardfork at will and reverse any transaction — although there may not have been any doubt about Tether’s control beforehand. This raises the question of why Tether bothers to put the database on the Bitcoin and Ethereum blockchains at all — it would be far cheaper for Tether to create its own public database without needing to pay fees to the miners. Although the Tether company was and is able to freeze funds, the process is technically difficult and time consuming, as it requires new software to be written and released and for all Tether exchanges to upgrade. The Tether “About us” page only appeared between 5 December 2017 and 7 December 2017, and it revealed that Tether had the same management team as the Bitfinex exchange, as the table below illustrates. This is approximately when Tether is said to have received a subpoena from the US Commodities Futures Trading Commission (6 December 2017). Prior to this point, Tether did not disclose its management team — on the website, at least — although it was widely believed that Bitfinex was behind Tether. The timing appears to suggest that the subpoena may have prompted the greater transparency. The Paradise Papers, released in November 2017, revealed that Bitfinex’s CFO and CSO are owners and directors of Tether respectively. There was already little doubt about the link between Tether and Bitfinex prior to full disclosure on Tether’s website. Bitfinex is a customer of Tether. If Bitfinex wants more USD, they make a request to Tether, just like all other Tether customers. Tether waits for USD to show up, and when it does, creates the necessary tethers and credits Bitfinex. We do not think there is evidence that Tether misled the public about Bitfinex’s involvement, which some have claimed. Our reserve holdings are published daily and subject to frequent professional audits. The accounting firm Friedman LLP (FLLP) published a report in September 2017 in which it confirmed that the USD balances that Tether was supposed to hold. The report stated that as of 15 September 2017, a bank held $382,064,782 in an account in the name of Tether. FLLP did not evaluate the terms of the above bank accounts and makes no representations about the Client’s ability to access funds from the accounts or whether the funds are committed for purposes other than Tether token redemptions. In January 2018, Tether ended its relationship with FLLP and explained with this emailed statement. We confirm that the relationship with Friedman is dissolved. Given the excruciatingly detailed procedures Friedman was undertaking for the relatively simple balance sheet of Tether, it became clear that an audit would be unattainable in a reasonable time frame. As Tether is the first company in the space to undergo this process and pursue this level of transparency, there is no precedent set to guide the process nor any benchmark against which to measure its success. The statement indicates that there is a lack of transparency and the audit processes appears inadequate, or at least inconsistent with the promises made on the Tether website. This likely contributed to the rumors in the cryptocurrency community — for example, claims that Tether is a Ponzi scheme. Tether allows its users to send and receive USD. Transactions cannot easily be blocked and users require no permission — although one notable exception to this is Tether requiring all users to upgrade to a new client in order to block transactions, which is the cumbersome process that occurred after the $31 million hack. Tether also potentially allows users a degree of anonymity when making or receiving transactions. Its characteristics potentially make it attractive to criminals, just like Bitcoin. While those with the ability to issue and redeem Tether, such as exchanges, are required to go through approval and KYC processes, individual users can use Tether merely by generating a public/private key pair, again just like Bitcoin. Regulators are unlikely to be particularly happy about this and banks are likely to consider Tether with scepticism. Tether also requires the use of a bank, to hold the USD reserves required to back Tether. Many banks are likely to approach Tether cautiously, and accepting Tether as a client may violate a bank’s compliance procedures such as rules meant to prevent money laundering. Therefore, Tether may have a problem: either the company may try to conceal aspects of how Tether operates from the reserve bank or the company may need to find a bank with compliance procedures that are not as strict as those of the most prominent financial institutions. We suspect that Tether may have struggled to find appropriate banking relationships and may have had accounts with many banks in many jurisdictions as it tried to find the right partner. We believe this is likely to be the primary reason for the apparent lack of transparency, rather than a lack of USD reserves. The transparency that some Tether stakeholders seem to expect may not be possible in the financial sector when the underlying activity is not clearly authorized or regulated by the authorities. The Bitfinex exchange may have revenues in excess of US$1 million per day during the recent crypto currency bubble (assuming 100,000 BTC volume per day, 0.1% commission, and a $10,000 BTC price). Even if Tether were experiencing problems, Bitfinex may have resources sufficient to bail out the system. This wealth may also remove some of the incentive to run a fraud or a Ponzi scheme of the type some of the Tether sceptics allege. 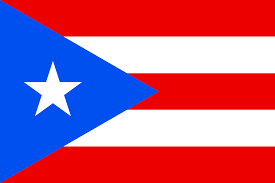 Rumors have been circulating that Tether may have some link to the unincorporated American territory of Puerto Rico. We decided to analyse public financial data to look for signs of unusual activity or strong growth. We noticed strong growth in the cash balance (and the deposit balance) in the International Financial Entities (IFE) banking category. This sharp increase in cash reserves could be related to Tether. It is also possible for this growth to be related to a non-Tether aspect of the crypto currency ecosystem — for example, plans to make Puerto Rico a crypto utopia. The chart below compares the value of Tether issued versus the deposit balance for the IFE banking category in Puerto Rico. The match is far from perfect and we cannot draw any strong conclusion from the data. It will be interesting to see what figures the regulators in the region produce going forwards. 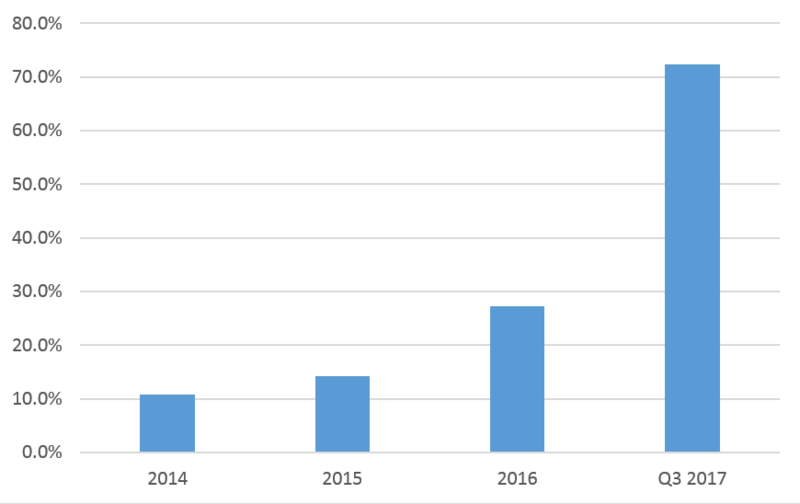 In addition to the growth of the total cash balance, we noticed that the cash balance was growing as a proportion of total assets, as the chart below illustrates. This kind of balance-sheet structure is unusual. Normally, banks lend most of their assets and only keep a small balance as cash. 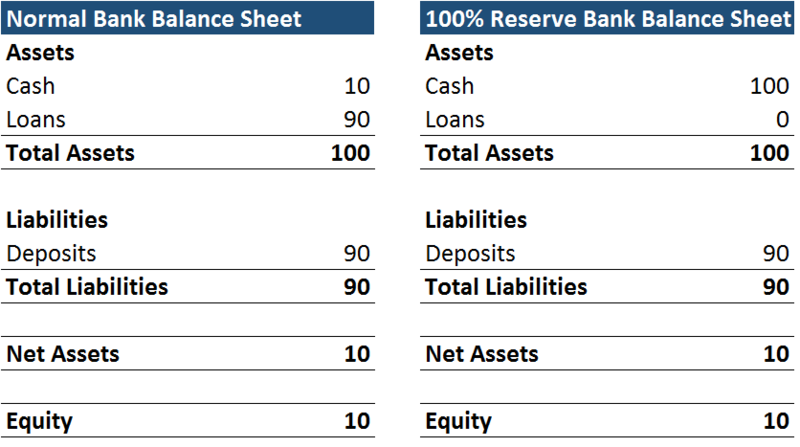 The table below shows a simplified typical structure of bank balance sheets. Full-reserve banking results in a different balance sheet, which should be detectable by financial analysts even when looking at macroeconomic data. As of the end of September 2017, the ratio of cash to total assets for this category of financial institution in Puerto Rico rapidly climbed to over 70%. This may indicate the presence of full-reserve banking in the territory and that the practice is growing. Full-reserve banking (also called 100% reserve banking) is when a bank does not lend deposits but keeps all deposited funds either in the form of physical cash or electronically on deposit at a custody bank or the central bank. Full-reserve banking is a fringe concept in modern finance often associated with the Austrian School of economics and libertarianism (or even a Bitcoin type of philosophy). Full-reserve banking is said to make the financial system less susceptible to credit expansion, something Bitcoin is also said to be able to achieve. The main benefit of this is that it could make the economy less likely to experience business cycles, as we explained in our earlier piece. 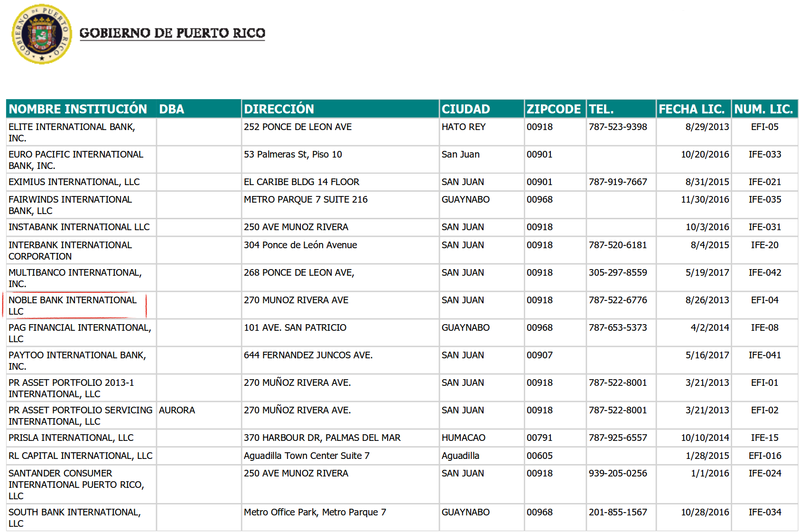 We looked at all the financial institutions in the IFE category in Puerto Rico, and identified two banks which claim to be full-reserve banks: Euro Pacific International Bank and Noble Bank International. Full-reserve banks are rare, so while we can’t rule out the existence of any others, it may be unlikely that any others are operating. Euro Pacific Bank is run by Peter Schiff, a well-known Austrian economist and Bitcoin sceptic. Due to this scepticism, we think it is unlikely that Schiff would become involved in a Bitcoin-related entity like Tether. Noble is also the bank that entered into a Bitcoin-related business partnership with Nasdaq in 2015. We suspect that the growth in reserves in this section of the financial services industry in Puerto Rico is related to Noble Bank and cryptocurrency, whether or not this involves Tether. The founder and CEO of Noble Bank, John Betts, was also behind the 2014 Sunlot Holdings move to take over and potentially rescue MtGox. Sunlot was backed by Brock Pierce, one of the founders of Tether. Of course, a previous professional relationship between the Noble Bank CEO and one of the Tether founders proves nothing, and the blockchain ecosystem is a small space so such connections are likely. We would like to emphasize that even if Noble Bank is the primary reserve bank of Tether, none of this is evidence that Noble Bank has done anything inappropriate or illegal. 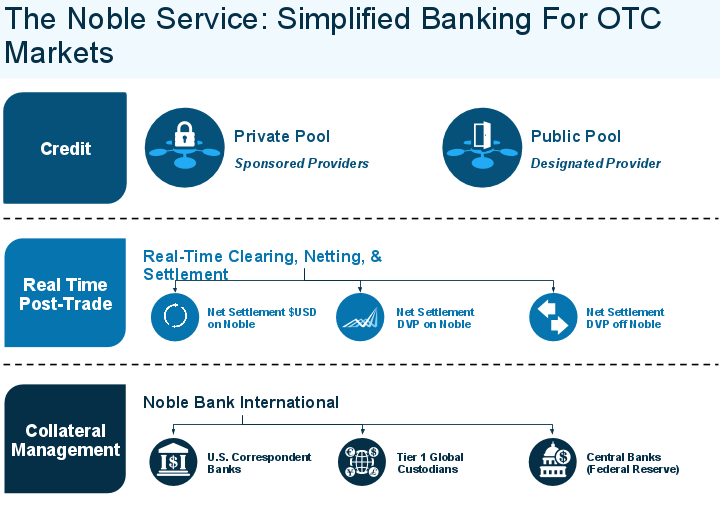 In a Medium post, Noble describes how it lets “clients to create their own pools of credit” and explains the structure of this system with the following illustration. It is possible that the above model could be the underlying structure behind Tether, and this could explain how it is backed by US dollars. This would indicate the USD that back Tether are inside the Puerto Rican banking system with the reserves held by BNY Mellon, Noble’s custody bank, which is the largest custody bank in the world. If true, this would imply that Tether is not a Ponzi scheme, since the USD reserves are present and being reported to the authorities, and that the reserves may be relatively safe. Although, as we explain later in this report, this should not provide complete comfort for Tether holders in the long term. No permission is required to send or receive Tether. Transactions cannot be easily blocked. Tether users may be able to obtain a degree of anonymity. These characteristics may make the system attractive for criminals and money launderers — and if criminal activity becomes too prevalent, the authorities may wish to shut the system down. This has already happened numerous times in the past, as the case studies below demonstrate. In a later report, we may dig into the history of these case studies in more detail. Cash could be put into the service using a credit card, bank wire, postal money order or other money transfer service. It was then “converted” into one of the firm’s own currencies – mirroring either the Euro or US dollar – at which point it could be transferred to another account holder who could then extract the funds. The defendants had transmitted at least $30 million to digital currency accounts worldwide since beginning operations in 2002. The digital currency exchanger, GoldAge, received and transmitted $4 million between January 1, 2006, and June 30, 2006, as part of the money laundering scheme. 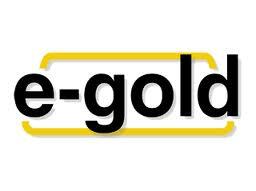 e-Bullion was a centralized Internet-based gold-payment system. In 2008, the co-founder of the system was murdered. As a result, the US government confiscated the company’s assets and the system was shut down. Perhaps one of the most interesting of the centralised pegged-payment platforms was DigiCash. Developed by David Chaum, DigiCash had strong anonymity technology based on blind signatures built into the system. The platform resembled modern distributed anonymity-based tokens like Monero. Although DigiCash was centralised, the operator was unable to obtain details about the transactions because everything was anonymous, and therefore the transactions themselves were, in a sense, fully censorship resistant. However, the company eventually failed and in 1998 filed for bankruptcy. Censorship resistance has two sides: one, that transactions themselves cannot be blocked and the second being that the entire system cannot easily be shut down. The first is relatively easy to achieve though anonymity-based technology such as ring signatures, while the second is more challenging. The US Justice Department lists other examples of shut-down Internet-based payment systems, including the following. On June 29, 2006, Andrew [Mantovani] was sentenced to 32 months in federal prison for cofounding Shadowcrew.com, an international online discussion forum with more than 4,000 members, many of whom specialized in identity theft and fraud. Shadowcrew members sent and received payments for goods and criminal services through digital currencies. One indicted member, Omar Dhanani, operated an illegal currency exchange, providing members a money laundering service in digital gold by anonymously converting their illicit cash. Dhanani stated that Shadowcrew members used digital gold in order to avoid traditional banking systems. A yearlong investigation by the U.S. Secret Service led to the October 2004 arrest of 21 individuals in the United States, with several other arrests in foreign countries. On February 22, 2006, Vadim Vassilenko, Yelena Barysheva, and Alexey Baryshev were indicted by the state of New York for operating an illegal check-cashing and money transmittal business from 2002 through 2005. Their company, Western Express International, acted as a currency exchanger, knowingly exchanging criminal proceeds for digital currencies. Through its web sites, Western Express actively solicited overseas clients in eastern Europe, Russia, and the Ukraine to operate illegally in the United States. Clients using fictitious, often multiple identities committed a variety of cyber crimes, such as reshipping, phishing, spoofing, and spamming. Items purchased with stolen credit card numbers were resold for digital gold, which was further laundered through Western Express. A total of $25 million flowed through the company’s bank accounts over the 4-year period, in violation of New York banking regulations. History has shown that centralised systems with certain characteristics (censorship resistance or anonymous transactions) tend to get shut down by the authorities. Tether shares some of the same characteristics as these extinguished services so it may also attract criminals and ultimately suffer the same fate. Reform the system to include KYC/AML procedures that allow the operator to easily block transactions or freeze funds. In order to do this, Tether may need to fundamentally change its technological architecture and perhaps leave the public blockchains. Essentially, Tether would just be turning into a traditional (or full-reserve) bank. If Tether is shut down, there is a risk that some users may lose access to their funds, perhaps temporarily. We do not recommend holding Tether for the long term, but not for the reasons some of the sceptics typically pronounce. We think that criminal usage of Tether is likely to be relatively low because of the use of Tether for financial speculation, which is probably the system’s dominant use case. Furthermore, we have not found any evidence of criminals using Tether to launder funds. As it stands, we think an imminent shutdown is unlikely. The case studies above illustrate the two angles to censorship resistance (individual transactions and the system as a whole) and what distributed crypto tokens need to achieve in order to be sustainable in the long run. If a payment system cannot block transactions, doesn’t require permission for use, or offers anonymous use, it will probably eventually be shut down. This could be just as true for systems like Tether and Ripple as it was for Liberty Reserve, E-gold, and DigiCash. A potential way around this is to try to build a distributed system that cannot be shut down (i.e., censorship resistance for the system as a whole). Whether Bitcoin or other proof-of-work-based systems can achieve this is still unproven, in our view.